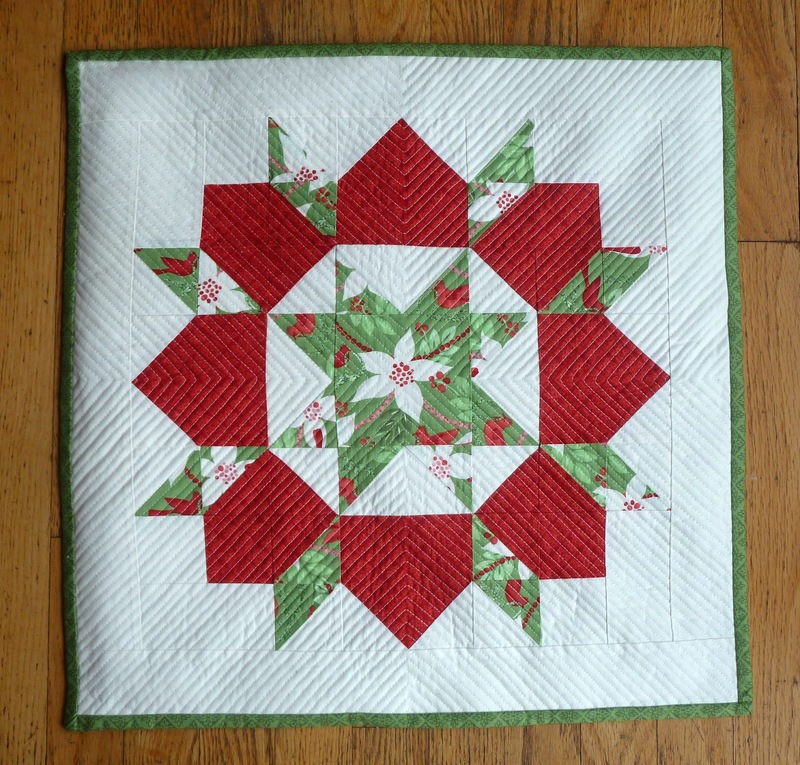 Another better late than never post, when pulling out our holiday decorations I found this fun Kate Spain Christmas quilt I finished in January. It's perfect for Christmas but really needed something to go with it. I dug out the remaining scraps and decided a Swoon pillow would be the perfect accompaniment. I love this block by the adorable Camille of Thimble Blossoms, it's complicated enough to look fabulous standalone yet is easy to assemble. I did a little math to resize it to 16" and got to work. 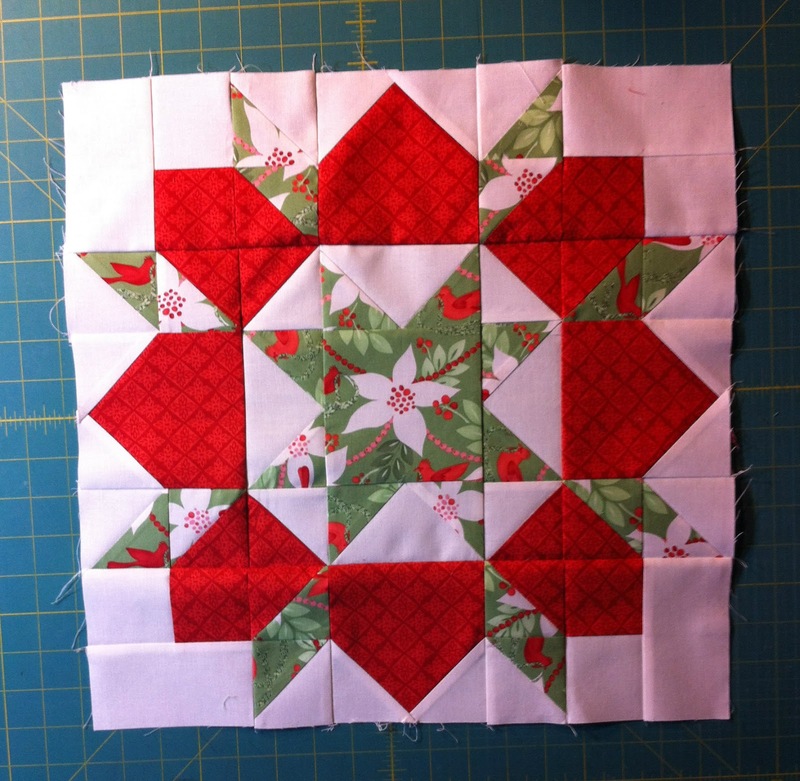 Once I had it pieced together I decided I wanted to quilt it with 1/4" spaced lines. I started with an X through the middle and then quilted each quarter. It was a bit tedious but it goes faster the closer you get to the center and it was a great way to relax after all the holiday craziness. 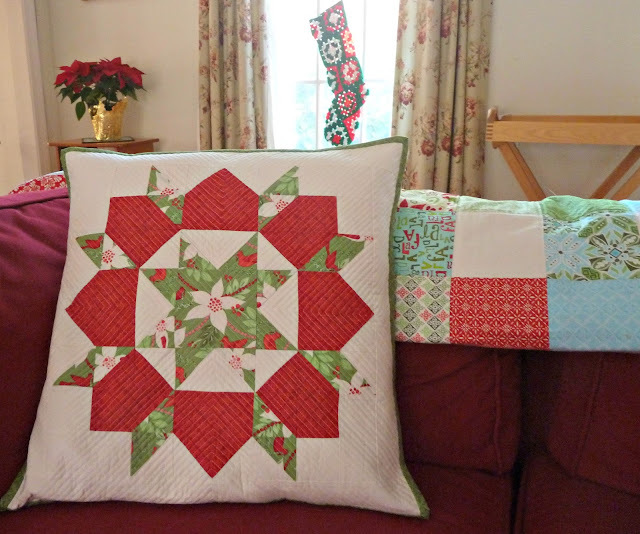 Finished pillow is 20" x 20"
Fabrics: Solstice, Flurry scraps by Kate Spain, FSDS Mist. Thread: 50 wt. Aurifil in Natural White (2021). Beautiful! 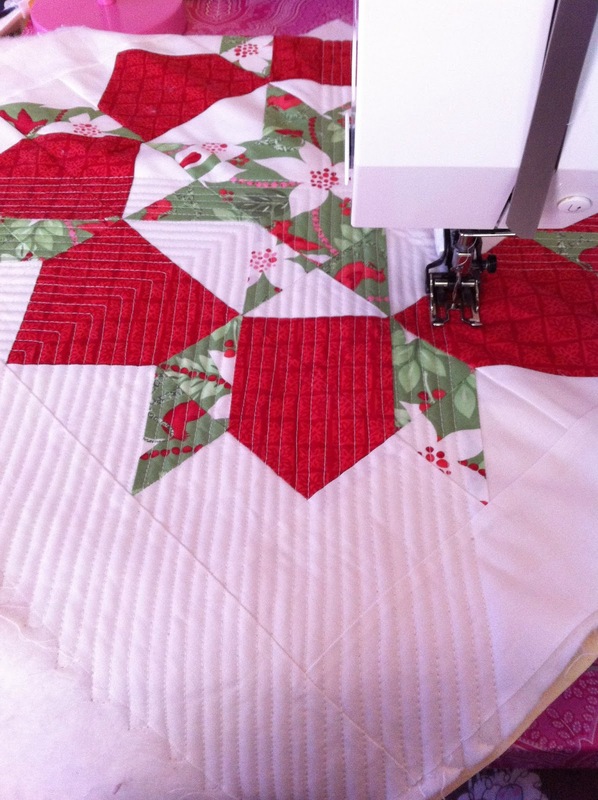 I love your quilting on this ~ and Kate Spain's fabrics are always gorgeous!